Febrile neutropenia is a common complication of cytotoxic therapies and can be potentially life threatening. Treatment for neutropenic fever has evolved with the advent of antibiotics with mortality rates falling as a consequence. Patterns of infection have changed from being predominantly related to gram-negative organisms to now being mostly caused by gram-positive organisms. However, in the majority of cases, no source is isolated. Higher rates of febrile neutropenia are seen with cytotoxic treatments for hematological malignancies, compared to that for solid malignancies. Therapies to reduce the risk of febrile neutropenia should be considered in patients at high risk of prolonged (>7 days) and severe (<1 × 109 cells/L) neutropenia and also in those who would poorly tolerate the complication. Risk factors for neutropenic fever include age >65, prior exposure to chemotherapy or radiation, persistent neutropenia, bone marrow involvement by tumor, recent surgery and/or open wounds, renal dysfunction, and liver dysfunction. Management requires prompt commencement of antibiotics, careful investigations into a possible source, and supportive cares. Empiric antibiotics with an antipseudomonal cephalosporin or a carbopenem should be started early. Data around the synergism of aminoglycosides is unclear. Treatment should be modified dependent on the results of the investigations. In the setting of a persistent fever, the addition of vancomycin and/or an antifungal agent should be considered. Patients should be well informed of this potential life-threatening complication. Mortality can vary from 1% in low-risk patients to 50% in those requiring ICU admission with septic shock. Vidal L, Ben dor I, Paul M, Eliakim-Raz N, Pokroy E, Soares-Weiser K, et al. Oral versus intravenous antibiotic treatment for febrile neutropenia in cancer patients. In: Vidal L, editor. Cochrane database of systematic reviews. Chichester: Wiley; 2013. [cited 2017 Feb 24]. 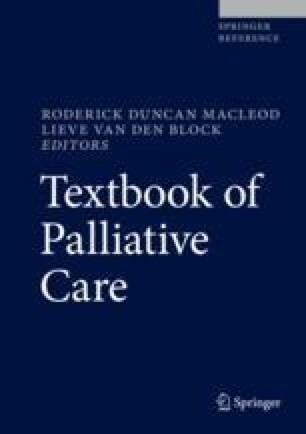 Available from: http://doi.wiley.com/10.1002/14651858.CD003992.pub3.